A last-minute quick card for Ellen's Mix it Up Challenge with Lawn Fawn. Yesterday, my set of Zig Art & Graphic markers arrived. These are waterbased markers with a thick, rubber tip - they are so bright and juicy! 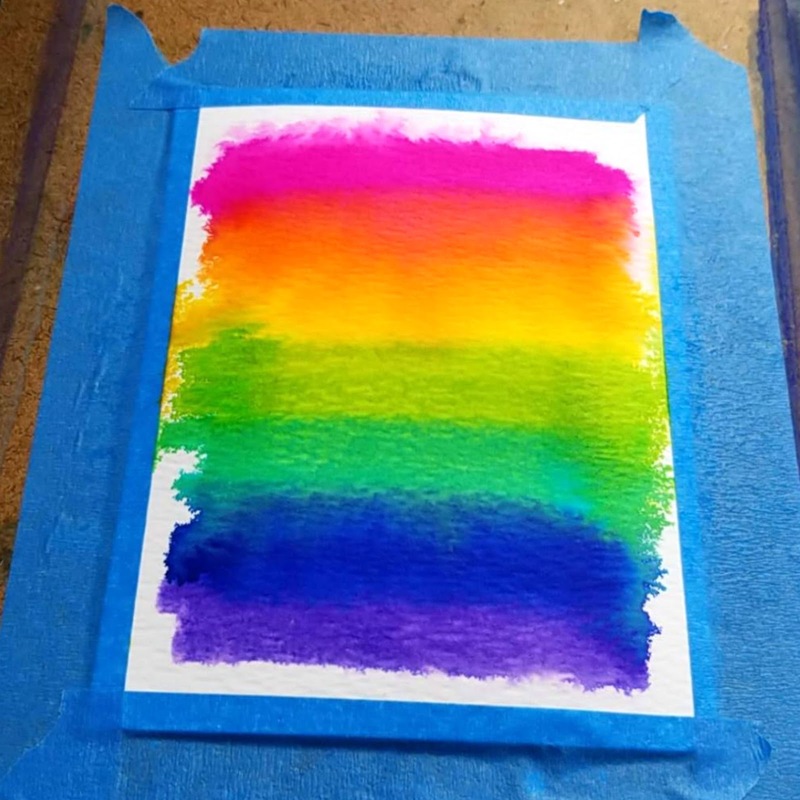 I have seen lots of people use these in lots of ways, but I immediately sat down and scribbled a quick rainbow on watercolour cardstock and then spritzed it. 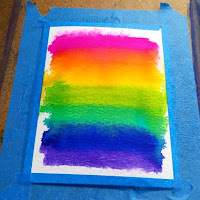 The colours ran and blended beautifully! 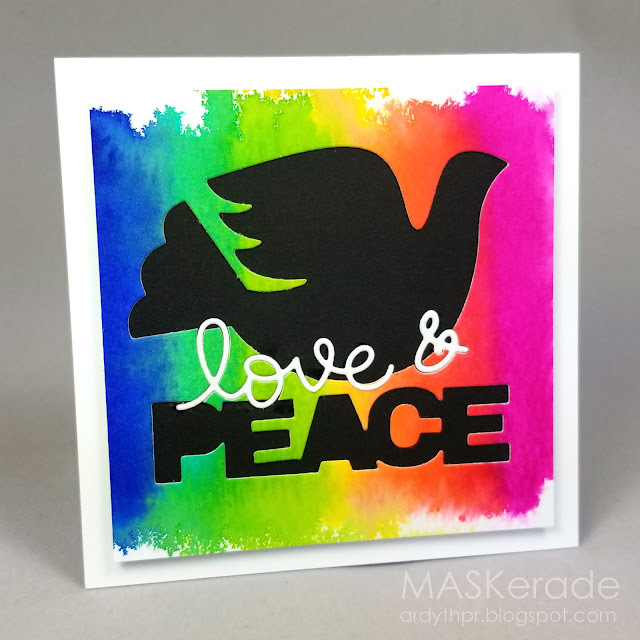 I felt like the rainbow was a throwback to the '60s, so I thought a love and peace theme would be fun. I wanted the panel to be my focal point so I used negative space (in dramatic black) and a white, inlaid die cut. I'm looking forward to trying more techniques with these markers! WOW what a fabulous design...that little love diecut in white really is impactful. Beautiful Ardyth. LOVE how vivid the colors are....makes me want to purchase some of the markers!